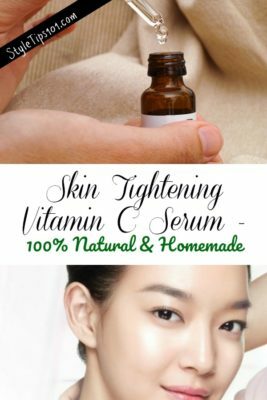 Vitamin C is one of THE most important vitamins that your skin can absorb, and this homemade vitamin C serum is a must-have for ALL skin types, but especially important for aging skin. If you’re looking to keep crow’s feet, wrinkles, and fine lines at bay (at least for as long as possible), this homemade vitamin C serum will do just that – slow down the aging process by plumping skin up and keeping the skin’s collagen intact! In a small bowl, mix all ingredients together until they’re all dissolved and well blended. Pour into a small glass jar or bottle and shake well. 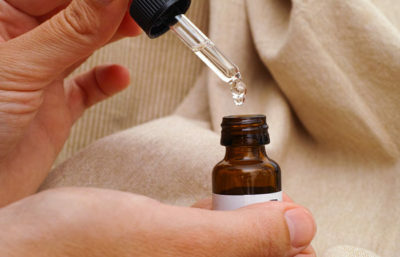 If you decide not to use glycerin and vitamin E oil, supplement with an extra teaspoon of distilled water. Apply all over face and neck at night after cleaning and toning, focusing on wrinkle prone areas such as around the eyes and mouth. Use every night before bedtime. Young skin is packed full of Vitamin C which produces collagen. As we age, our levels dramatically drop, therefore collagen production slows. Collagen is a protein that produces skin elasticity which keeps wrinkles from forming. Vitamin C also lightens age,sun, and dark spots. Vitamin C is also powerful antioxidant and also reduces the number of sunburned cells as well as reverses age-related damage to skin. It can reverse UV damage like spots and lines! This vitamin C serum is also 100% natural and organic so you don’t have to worry about it being loaded with unnecessary ingredients that can actually harm the skin.